How do you get here from there? 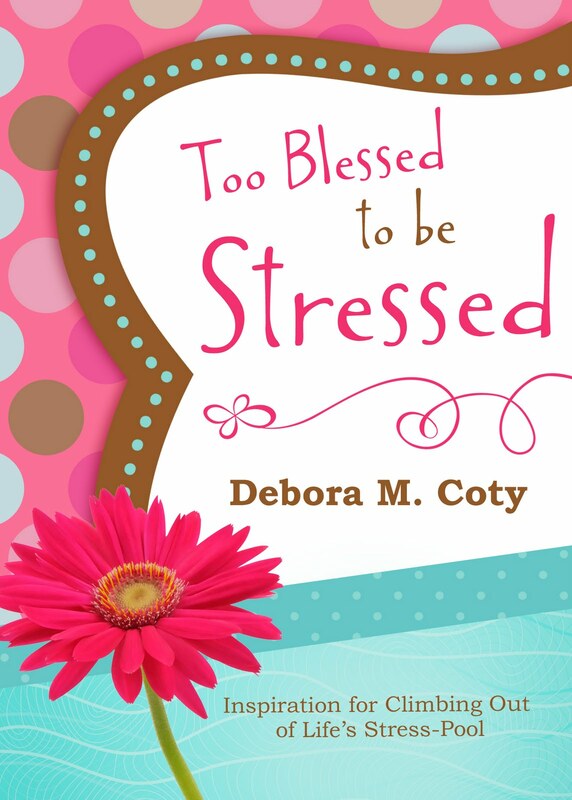 With the August 1 release date of my new nonfiction, faith-based self-help book Too Blessed to be Stressed peeking around the corner, I’ve found myself contemplating how on God’s green earth I got here. Not here as in this city, state or country. Here as in this chocolate-stained computer chair. Ten years ago I was immersed in my tidy little life as a health care professional, mother, wife and tennis addict. I hadn’t written anything deeper than Christmas letters for over 20 years. So the adventure began. And I’ve never looked back. Not through enough rejection slips to sculpt a life-sized paper mache rhinoceros in my living room. Not through waiting, waiting, and more waiting in publication purgatory. Not through $1.57 royalty checks (I ain’t funnin’ ya). Not during endless phone calls begging for speaking gigs. Not even through the fall of the book industry empire. A seriously scary time, that. I’ll admit the journey to publication wasn’t easy. I started out as a cyber-ninnyhead. I knew nothing about websites, widgets and WordServe. But I learned. Slowly and sometimes painfully. Now I not only have a humdinger website, I also write two blogs (check out my other writer’s blog), tweet (does that make me a twit?) and even have FaceBook launch parties planned for my next two books. Well, all of this is impossible, of course. That’s why Ephesians 3:20 assures us that Papa God is “able to do exceeding abundantly beyond all that we ask or think, according to the power that works within us.” His specialty is the impossible. Looking back, I was blessed to be naive enough not to realize how many writerly accomplishments were considered impossible. So they weren’t. But I did learn a lot along the way. I learned the hard way that I can’t do it all myself. That a good agent is better than a double mocha latte on a frigid night. That contracts are always negotiable. And money is not as important as readers. But best of all, I’ve found that the most blessed, most magnificent, most incredible moment in a writer’s life is when someone you don’t even know shares how your words touched their heart. Maybe even changed their life. It’s then that you break down in complete humility, awestruck that Papa God used you as His instrument. The pen in His hand. So here I sit, smearing more Godiva into my computer chair, thanking Him for the fantastic opportunity to sweat, fret, learn, and never stop growing as a writer. Care to join me?